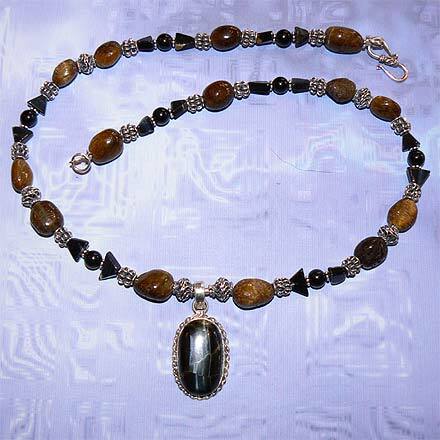 Sterling Silver Blue and Gold Tiger Eye Necklace. See Closeup. 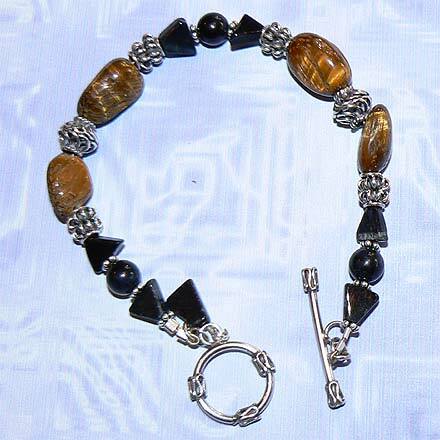 Sterling Silver Blue and Gold Tiger Eye Bracelet. 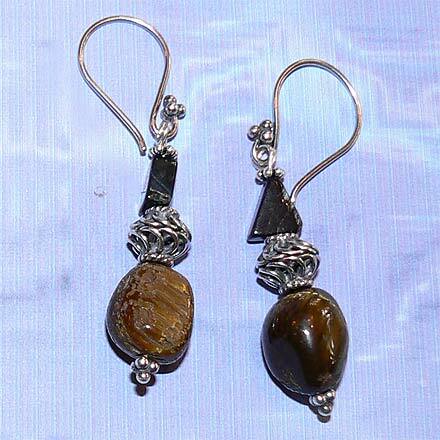 Both gold and bluish black Tiger Eye is used in this jewelry set. 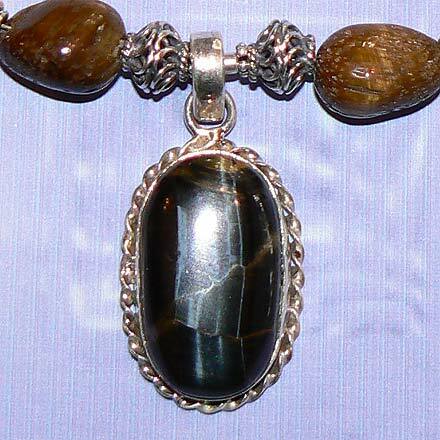 The 1½" pendant is a very unique bluish black color with some gold streaking. The necklace is 20½" long and the matching bracelet is 7¾".